Iron-stamped ball marker for convenience on the course. 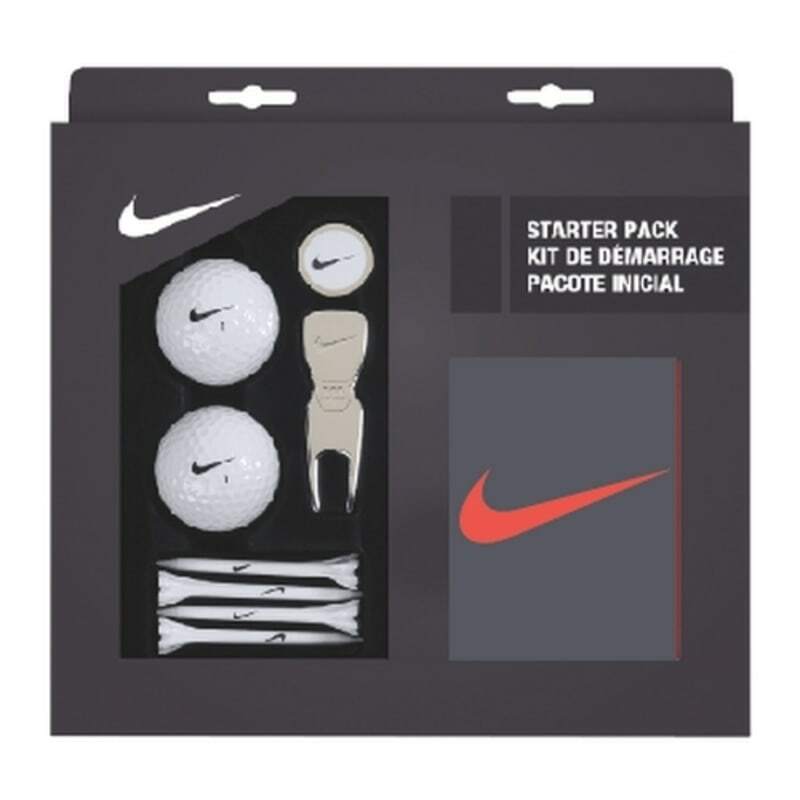 This accessory pack from Nike Golf is the perfect gift for any keen golfer. 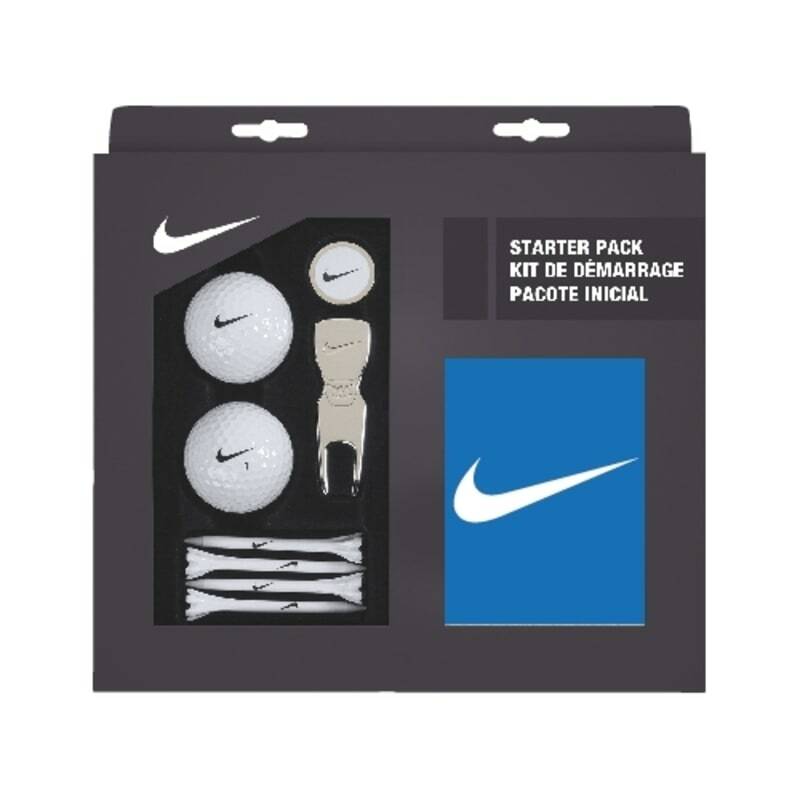 Featuring two balls, a pitch repair tool, Nike tees, ball marker and a towel, this kit has everything a golfer needs to be on their way.